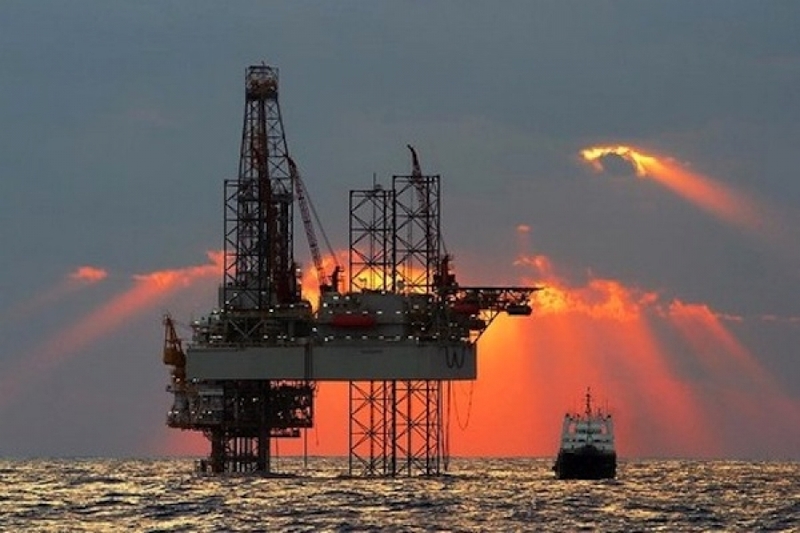 Baker Hughes (BHGE) reports that the U.S. rig count is down 3 rigs from last week to 1,022, with oil rigs up 2 to 833, gas rigs down 5 to 189, and miscellaneous rigs unchanged at 0. The U.S. Rig Count is up 14 rigs from last year’s count of 1,008, with oil rigs up 18 to 833, gas rigs down 3 to 189, and miscellaneous rigs down 1. The Canada Rig Count is down 2 rigs from last week to 66, with oil rigs down 4 to 18 and gas rigs up 2 to 48. The Canada Rig Count is down 36 rigs from last year’s count of 102, with oil rigs down 23 and gas rigs down 13. Crude oil (WTI) is up 66 cents to $64.25 per barrel. 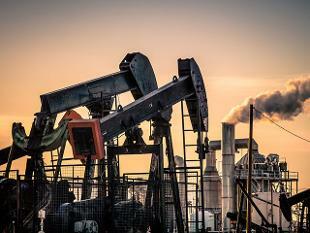 Brent crude is up 95 cents to $64.27 per barrel. Ascendis Pharma (ASND) announced positive top-line results from the phase 3 heiGHt Trial, a randomized, open-label, active-controlled trial that compared once-weekly TransCon Growth Hormone to a daily growth hormone in children with pediatric growth hormone deficiency. The trial met its primary objective, demonstrating that TransCon hGH was observed to be non-inferior and, additionally, superior to the daily hGH on the primary endpoint of annualized height velocity at 52 weeks. In the primary analysis of the intent-to-treat population using ANCOVA, TransCon hGH demonstrated an AHV of 11.2 cm/year compared to 10.3 cm/year for the daily hGH. The treatment difference was 0.86 cm/year with a 95% confidence interval of 0.22 to 1.50 cm/year. The AHV for TransCon hGH was significantly greater than the daily hGH. The AHV was greater for TransCon hGH than for the daily hGH at each visit, with the treatment difference reaching statistical significance from and including week 26 onward. The incidence of poor responders was 4% and 11% in the TransCon hGH and daily hGH arms, respectively. All sensitivity analyses completed from the trial support the primary outcome, indicating the robustness of these results. Results from the trial indicate that TransCon hGH was generally safe and well-tolerated, with adverse events consistent with the type and frequency observed with daily hGH therapy and comparable between arms of the trial. ASND is up $44.64 to $113.95. Cantor Fitzgerald analyst Alethia Young raised her price target for Ascendis Pharma to $185 from $100 as she was “positively surprised” that the TransCon hGH study for growth hormone achieved a superior result on annualized growth velocity of .86cm. The analyst thinks that the expectation had been non-inferiority with a slightly favorable numerical trend. Young also thinks safety was clean as well, which has been a challenge with other long acting growth hormones. She would expect shares to trade up 50%-100% based on her model, and sees continued upside from shares as additional programs, such as TransCon PTH, achieve proof of concept and more candidates from the proprietary TransCon platform enter the clinic. The analyst reiterates an Overweight rating on the shares. Growth hormone (GH) has been available for management of the short stature associated with growth hormone deficiency (GHD) for more than 60 years; recombinant DNA-derived human growth hormone (rhGH) has been available since 1985. While availability is no longer a problem, there still remains a number of difficulties with the diagnosis of GHD, resulting mainly from the lack of appropriate tools to make (or exclude) the diagnosis reliably. Spark Therapeutics (ONCE) announced that it has entered into a definitive merger agreement for Roche (RHHBY) to fully acquire Spark Therapeutics at a price of $114.50 per share in an all-cash transaction. This corresponds to a total equity value of approximately $4.8B on a fully diluted basis, inclusive of approximately $500M of projected net cash expected at close. The per share price represents a premium of 122% to Spark’s closing price on Feb. 22, 2019. The merger agreement has been unanimously approved by the boards of both Spark and Roche. Under the terms of the merger agreement, Roche will commence a tender offer to acquire all outstanding shares of Spark’s common stock, and Spark will file a recommendation statement containing the unanimous recommendation of the Spark board that Spark shareholders tender their shares to Roche. Spark Therapeutics will continue its operations in Philadelphia as an independent company within the Roche Group. The closing of the transaction is expected to take place in Q2 of 2019. 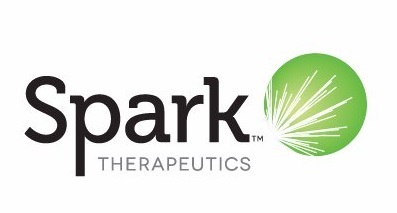 Bernstein analyst Vincent #Chen notes that he has long seen Spark Therapeutics (ONCE) as a takeout candidate in gene therapy after the Wall Street Journal reported Roche (RHHBY) is near acquiring the company for close to $5B. The analyst thinks the deal makes sense as adding hemophilia gene therapy to Hemlibra sets up Roche as a leader in next-gen non-factor hemophilia drugs, CNS gene therapy pipeline is a good fit for Roche’s growing neuroscience franchise, and as it serves as a cornerstone in establishing Roche as a gene therapy leader, to rival the likes of Novartis (NVS). Credit Suisse analyst Martin Auster notes that the Wall Street Journal recently reported that Roche (RHHBY) is nearing a deal with Spark Therapeutics (ONCE) for $5B. The analyst believes the transaction value implies the re-emergence of Spark’s hemophilia A gene therapy program with a competitive profile and substantial value assigned to additional pipeline programs, such as SPK-3006 for Pompe, and the technology platform. Spark’s acquisition would further strengthen the company’s position in the hemophilia space, he contends. Further, Auster argues that the deal may increase M&A interest among other gene therapy names in his coverage universe, which include BioMarin (BMRN), Sarepta (SRPT), Ultragenyx (RARE), PTC (PTC) and Solid Biosciences (SLDB). He sees particularly strong read-through to Sarepta. GlaxoSmithKline (GSK) and TESARO (TSRO) announced that the companies have entered into a definitive agreement pursuant to which GSK will acquire TESARO, an oncology-focused company based in Waltham, Massachusetts, for an aggregate cash consideration of approximately $5.1B. The proposed transaction significantly strengthens GSK’s pharmaceutical business, accelerating the build of GSK’s pipeline and commercial capability in oncology. The acquisition price of $75 per share in cash represents a 110% premium to TESARO’s 30 day Volume Weighted Average Price of $35.67 and an aggregate consideration of approximately $5.1B including the assumption of TESARO’s net debt. GSK expects the acquisition of TESARO and associated R&D and commercial investments will impact Adjusted EPS for the first two years by mid to high single digit percentages, reducing thereafter with the acquisition expected to start to be accretive to Adjusted EPS by 2022. GSK’s guidance for full-year 2018 Adjusted EPS growth remains unchanged at 8 to 10% at CER. GSK continues to expect to deliver on its previously published Group Outlooks to 2020, but following the acquisition of TESARO now expects Adjusted EPS growth at CER for the period 2016-2020 to be at the bottom end of the mid to high single digit percentage CAGR range. GSK confirms no change to its current dividend policy and continues to expect to pay 80p in dividends for 2018. GSK expects to fund the acquisition from cash resources and drawing under a new acquisition facility. Please click here and read our blog when we predicted this transaction. Shares of Toyota (TM) are in focus on Thursday after the company announced plans to team up with SoftBank (SFTBF) to develop self-driving car services. The news follows an announcement from General Motors (GM) on Wednesday that Honda (HMC) will invest $2.75B and take a 5.7% stake in its Cruise self-driving vehicle unit, in which SoftBank is also an investor. Toyota announced in a statement that it and SoftBank will form a joint venture called MONET, short for mobility network, to develop businesses that will use driverless-car technology to offer new services, such as mobile convenience stores and delivery vehicles in which food is prepared en route. MONET will provide coordination between Toyota’s Mobility Services Platform, Toyota’s information infrastructure for connected vehicles, and SoftBank’s Internet of Things Platform, which was built to create new value from the collection and analysis of data acquired from smartphones and sensor devices, the companies said. MONET will roll out an autonomous driving service using e-Palette, Toyota’s dedicated battery electric vehicle for mobility services, by the second half of the 2020s, Toyota and SoftBank added. The venture will have initial capital of Y2B, and SoftBank will own just over half of the business, which will initially focus on Japan and eventually go global, according to a Reuters report. Earlier this year, Toyota set up a new company dedicated to the research and development of self-driving vehicles, with plans to invest $2.8 billion to develop a commercially viable autonomous car. On Wednesday, Cruise and GM announced that they partnered with Honda to work towards large-scale deployment of autonomous vehicle technology. Honda will work jointly with Cruise and General Motors to fund and develop a purpose-built autonomous vehicle for Cruise that can serve a wide variety of use cases and be manufactured at high volume for global deployment. Honda will contribute approximately $2B over 12 years to these initiatives, which, together with a $750M equity investment in Cruise, brings its total commitment to the project to $2.75B. SoftBank’s Vision Fund committed $2.3B to Cruise earlier this year. Additionally, Renault (RNSDF)-Nissan (NSANY) and Daimler (DDAIF) are considering expanding their collaboration to battery and autonomous vehicle technology as well as mobility services, Reuters reported on Wednesday, citing comments made by the CEOs of both companies. 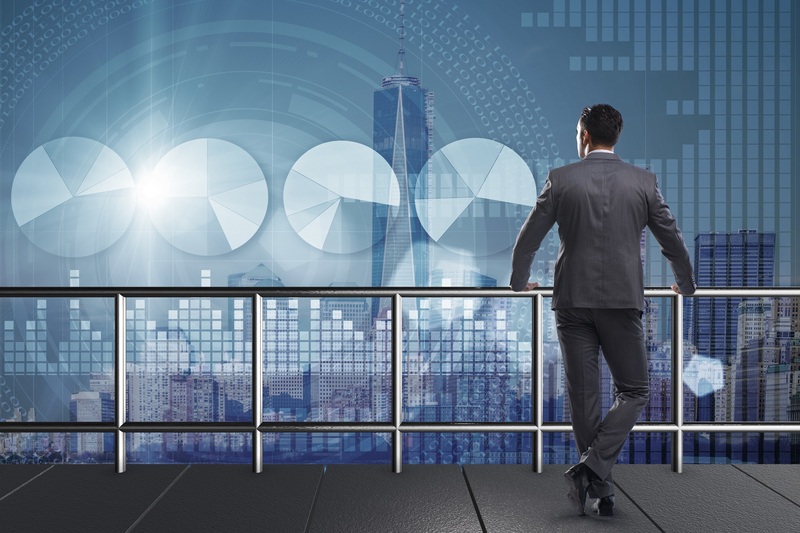 “The industry being in transformation in the area of connectivity, autonomous cars and connected services, there are plenty of areas of cooperation for our entities,” Renault Nissan CEO Carlos Ghosn said. GTx (GTXI) announced that the ASTRID Trial, a Phase 2 double-blind, placebo-controlled clinical trial of orally-administered enobosarm in post-menopausal women with stress urinary incontinence, did not achieve statistical significance on the primary endpoint of the proportion of patients with a greater than 50% reduction in incontinence episodes per day compared to placebo. The percentage of patients with a greater than 50% reduction after 12 weeks of enobosarm treatment was 58.9% for 3mg, 57.7% for 1mg and 52.7% for placebo. Enobosarm was generally safe and well tolerated. Reported adverse events were minimal and similar across all treatment groups. “We are very disappointed that the ASTRID Trial did not achieve its primary endpoint,” said Robert Wills, executive chairman of GTx. GTXI closed at $23.29, it last traded at $2.00. Shares of Bayer (BAYRY) trading in New York are sliding after the recently acquired Monsanto was ordered to pay $289M by a California court, who found it liable in a lawsuit alleging that the company’s Roundup caused cancer. Commenting on the news, JPMorgan analyst Richard Vosser told investors that the selloff in the shares is “significantly overdone” as he sees the potential for the verdict to be overturned on appeal and for the damage amount to be greatly reduced. Meanwhile, his peer at Bank of America Merrill Lynch argued that the ruling adds cloud over an important product for Scotts Miracle-Gro (SMG). Last week, a jury found Monsanto, which was recently acquired by Bayer for $63B, liable in a lawsuit alleging that the company’s glyphosate-based weedkillers, including its Roundup brand, caused cancer. The case against Monsanto is the first of more than 5,000 similar lawsuits across the U.S. The jury at San Francisco’s Superior Court of California found that Monsanto had failed to warn school groundskeeper Dewayne Johnson and other consumers of the cancer risks posed by its weed killers, and awarded Johnson $250M in punitive damages and about $39M in compensatory damages. Monsanto, which plans to appeal the verdict, has denied that glyphosate causes cancer and has contended that decades of scientific studies have shown the chemical to be safe for human use. The analyst added that he sees the potential for the verdict to be overturned on appeal and for the damage amount to be greatly reduced. Overall, Vosser believes current share levels of Bayer provide a good long-term buying opportunity and reiterated an Overweight rating on the name. Also commenting on the California court’s ruling, BofA/Merrill analyst Christopher Carey pointed out in a research note of his own that while the product is owned by Monsanto, Scotts Miracle-Gro is the exclusive distributor/marketer of consumer Roundup in the U.S. and Canada, with the brand on track to be about 15% to FY18 profit, but less in FY19 as a 3-year term for $20M annual payments from Monsanto ends in FY18. Carey noted that he does not expect a ban of glyphosate, but argued that the court decision nevertheless “adds a cloud” over a product which is important for Scotts Miracle-Gro. While any additional impact from Roundup is unclear, this adds another layer to risks, he contended, highlighting that the company already must overcome a number of headwinds in 2019. The analyst reiterated an Underperform rating and $74 price target on Scotts Miracle-Gro’s shares. Meanwhile, his peer at SunTrust told investors that there is likely no legal risk to Scotts Miracle-Gro from Friday’s jury verdict in California. As part of the master agreement between Scotts and Monsanto signed three years ago, Scotts is indemnified from any litigation relating to the Roundup/glyphosate issue, analyst William Chappell pointed out. Further, the analyst noted that the company is not listed as a defendant in any of the cases filed against Monsanto. Nevertheless, Chappell estimates that Roundup represents roughly 10% of Scotts’ EBITDA, and believes sales could be impacted over the long-term from these trials. The analyst reiterated a Buy rating and $100 price target on Scotts Miracle-Gro’s shares. In Monday morning trading, shares of Bayer in New York have dropped over 10% to $23.75, while Scotts Miracle-Gro’s stock has slipped 2.25% to $73.65. The EU has hit Alphabet-owned Google (GOOG; GOOGL) with a record antitrust fine for abusing the dominance of its Android mobile operating system. Commenting on the decision, Baird analyst Colin Sebastian said he believes it to be a “pro-Amazon” (AMZN) ruling, benefiting the e-commerce giant and potentially Apple (AAPL) as well. The European Commission has fined Google EUR4.34B for breaching EU antitrust rules. “Since 2011, Google has imposed illegal restrictions on Android device manufacturers and mobile network operators to cement its dominant position in general internet search. Google must now bring the conduct effectively to an end within 90 days or face penalty payments of up to 5% of the average daily worldwide turnover of Alphabet, Google’s parent company,” the Commission stated. Google CEO Sundar Pichai, in response to the European Commission competition decision, stated that “rapid innovation, wide choice, and falling prices are classic hallmarks of robust competition and Android has enabled all of them. In a research note to investors, Baird’s Sebastian argued that the European Commission’s ruling against Google is “a bit misguided,” but likely a “relatively minor inconvenience” in the short and medium terms. Longer-term, the analyst said he sees modest but not unexpected added risk from requirements to support forked versions of Android, and from the direct and/or indirect benefits of this ruling for Apple and Amazon. In practical terms, the EC is saying that Android users need to download the Google apps they want rather than have them pre-installed and implicitly instructs Google to make its apps available on forked-version of Android, even if those apps won’t work as well or as intended on modified operating systems, he contended. Sebastian believes this ruling should have a limited direct impact on Google since it ostensibly does not force a change to the Google search algorithm and seems relatively straight-forward for Google to comply. However, the bigger issue may be the obvious benefits to Amazon and potentially Apple, he argued. The analyst pointed out that while Amazon already generates about 50% of commerce and product-related searches, the EC will require Android users to take another step before they can access an alternative product search engine. Additionally, to force Google to support distribution of forked-versions of Android could directly benefit Amazon’s Fire devices, he highlighted. Nonetheless, the analyst noted that the decision does not change his positive view on Alphabet and reiterated an Outperform rating and $1,300 price target on shares of Google’s parent company. In morning trading, Class A shares of Alphabet and Amazon are each fractionally lower. Meanwhile, Apple’s stock has dropped almost 1% to $190.12. 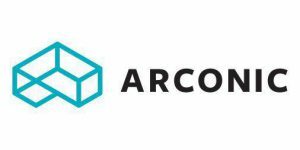 Shares of Arconic (ARNC) are rising following a report that the aluminum producer has received interest from private equity firms including Apollo Global Management (APO). Arconic has received takeover interest from private-equity firms, including Apollo Global, The Wall Street Journal reported Friday. A deal for the aerospace parts maker, which currently has a market value of $8.3B, could be worth over $10B, but no buyout agreement is imminent, the report said. The company, which also holds $6.4B in debt, has a tumultuous recent history, facing an activist investor campaign from Elliott Management after being separated from the aluminum business now known as Alcoa (AA) in 2016. The campaign led to the resignation of former Arconic Chief Executive Officer Klaus Kleinfeld and an overhaul of the company’s board. In addition, the company came under scrutiny after investigators discovered its aluminum composite panels contributed to the spread of a fire last year at London’s Grenfell Tower that killed 80 people. At the time, Arconic said it had no control over how its products were used in the building. Following the WSJ report, Morgan Stanley analyst Rajeev Lalwani said two things stand out to make Arconic a “plausible” leveraged buyout candidate: Its low EV/EBITDA multiple, which creates potentially favorable entry and exit points, and its cash flow profile, which has room for improvement. The analyst stated that a more lean and efficient approach could support considerably better cash generation. While the reported private equity interest “adds a level of intrigue,” Lalwani still believes headwinds within it rings and disks business, working capital and CapEx issues and volatility associated with aluminum prices will be the key driver of shares in the near-term. Given the aforementioned execution concerns, Lalwani kept an Equal Weight rating and $20 price target on Arconic shares. Credit Suisse analyst Curt Woodworth said he views Arconic as a “very viable” leveraged buyout candidate given its “highly depressed” multiples, operational and financial mismanagement, and “very strong” positions in automotive and aerospace end markets. The analyst believes the issues at Firth Rixson are “very fixable” as the company is a new entrant into the disks market and said Arconic could be worth $24-$26 per share in a buyout. Woodworth has an Outperform rating on the shares with a $28 price target. On Monday, Arconic announced it had signed a new long-term contract with Boeing (BA) to supply aluminum sheet and plate for all models produced by Boeing Commercial Airplanes. The multiyear contract, which extends and adds to the companies’ 2014 contract, is the largest to date and captures growth in the build rate increases of the Boeing 737 program. Arconic rose about 10%, or $1.73, to $19.12 in morning. 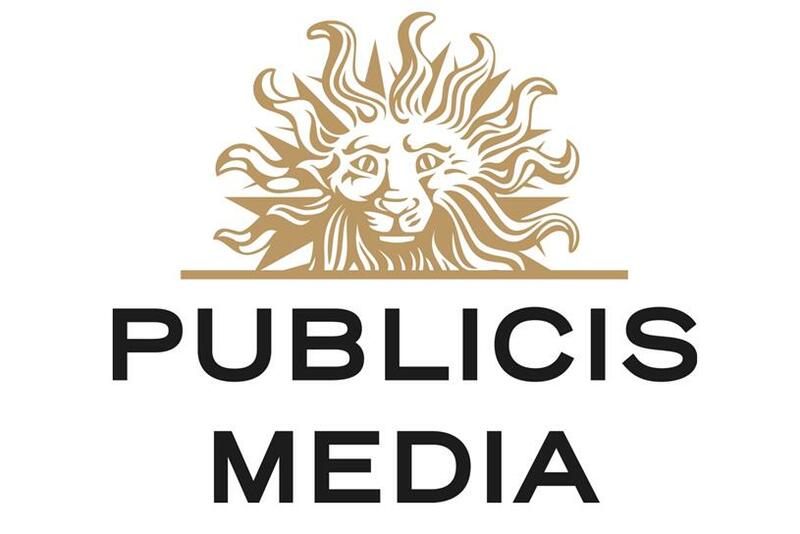 Additionally this morning, the company announced that it will reorganize into three units, separating its consumer health-care business, which the drugmaker has been trying to sell since last year, from its groups focused on “innovative” medicines” and “established” medicines. The company released the statement following an “extensive discussion” with President Trump. Pfizer said it will return such prices to their pre-July 1 levels as soon as technically possible, and the prices will remain in effect until the earlier of when the president’s blueprint goes into effect or the end of the year. In addition, the drug giant said that the price declines the company took as of July 1 will remain in effect. This comes after President Trump called out the company and other drugmakers for raising prices. This morning, Pfizer also announced it will organize the company into three businesses, namely a science-based Innovative Medicines business that will now include biosimilars and a new hospital business unit for anti-infectives and sterile injectables; an off-patent branded and generic Established Medicines business operating with substantial autonomy within Pfizer; and a Consumer Healthcare business. These changes will be effective at the beginning of the company’s 2019 fiscal year, and are not expected to impact current capital allocation priorities or full-year 2018 financial guidance. Commenting on the events, Wells Fargo analyst David Maris told investors that drug stocks will not react favorably to this news, given the chilling effect this will likely have on others looking to take price increases. Nonetheless, the analyst pointed out that the price increases taken in July are only small compared to other increases taken over the past year or several years, so the impact of the rollback to the healthcare system is insignificant in the big picture. Maris also added that he believes the administration’s and other key legislators’ focus is not only on drug pricing, but on the overall supply chain and delivery system, including drug rebating, co-pay coupons, etc. According to Bloomberg, Gilead (GILD), Roche (RHHBY), Novo Nordisk (NVO) and Novartis (NVS) have all sent notices to California health plans rescinding or reducing previously announced price hikes in the wake of a new drug pricing transparency law that was enacted in the state. The California measure, which is among the most aggressive efforts by states to rein in drug costs, is being challenged in court by the drug industry’s lobbying group, the report noted. Other large cap pharmaceutical companies include AstraZeneca (AZN), Bristol-Myers (BMY), Eli Lilly (LLY), GlaxoSmithKline (GSK), Johnson & Johnson (JNJ), Merck (MRK), and Sanofi (SNY). In morning trading, shares of Pfizer have dropped about 0.5% to $37.28. 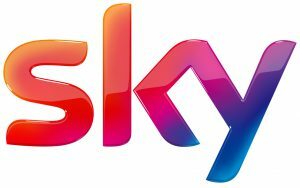 21st Century Fox (FOXA) and the Independent Committee of Sky PLC (SKYAY) announced that they have reached agreement on an increased recommended pre-conditional cash offer for the fully diluted share capital of Sky which Fox and its affiliates do not already own at a price of GBP 14.00 for each Sky share. The price of GBP 14.00 per Sky share represents an increase of approximately 12% to the Comcast (CMCSA) offer price of GBP 12.50 per Sky share announced on April 25, Fox says in a statement. Under the terms of the increased offer, Sky shareholders will be entitled to receive for each Sky share GBP 14.00 in cash. The increased price includes an amount in lieu of a final dividend in respect of the financial year ended June 30, 2018. It is intended that the acquisition will be implemented by means of a scheme of arrangement under applicable U.K. law. The Sky Independent Committee announced that it intends to unanimously recommend that the Sky shareholders unaffiliated with 21st Century Fox vote in favor of the scheme and take no action in relation to the Comcast offer. Fox currently anticipates that the acquisition will complete in Q3 of 2018. Fox added that the Sky acquisition is not a condition to completion of the Disney (DIS) transaction. Completion of the Sky acquisition will not affect the amount or form of consideration that stockholders of 21st Century Fox receive in the Disney deal, it said. “We strongly believe that a combined 21CF and Sky will be a powerful driver for the continued growth and vibrancy of the UK and broader global creative industries. The enhanced scale and capabilities of the combination will enrich Sky’s ability to continue on its mission for years to come, especially at a time of dynamic change in our industry. This transformative transaction will position Sky so that it can continue to compete within an environment that now includes some of the largest companies in the world, but none of whom have demonstrated the same local depth of investment and commitment to the UK and to Europe,” added Fox.